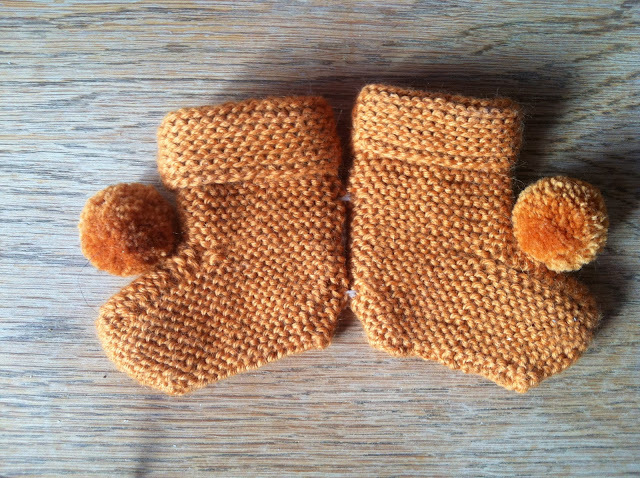 Wanted to share these booties with you- so soft wool and alpaca - a present from Siew, i love them! they are by a French fashion designer http://www.lillymarthe-ebener.com/ who i have only just discovered since getting these booties. She has a beautiful collection of not just kids things! I even love the way the labels are sewn on! Love your things, and so happy to have found this blog too. Congrats on your little one, Eli is a lovely name. Will be following along to see how you get on and look at the great kiddo finds! 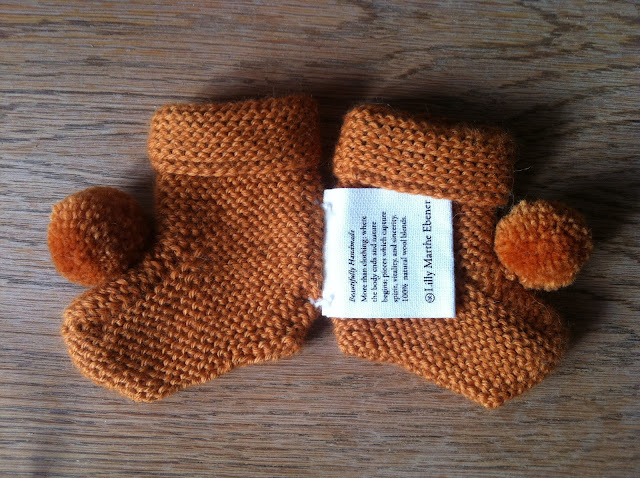 Eli, you are your booties are just a bit adorable!